Mum asked me for some tips for spinning a special braid of dyed fibre. I'm posting publicly in case these thoughts are useful to others too. 1. 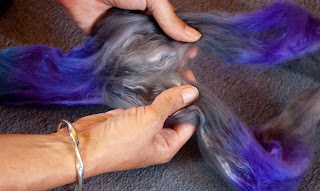 It always seems a shame to undo a beautifully braided coil of fibre, but it has to be done! 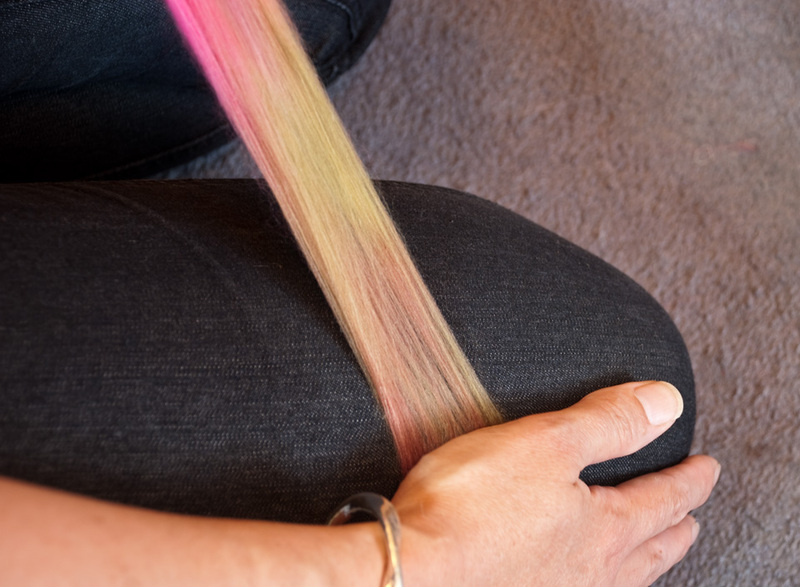 You'll probably find that the length of fibres is actually a tube and you may even spot a seam. carefully open this out into a wide flat ribbon. 2. I find that it really makes the following steps easier if you split the fibre vertically. Whether you split into two, four or eight, or whether you split at all depends on how you're planning to spin and how you'd like the colours to be distributed (see my notes on variations later). 3. However many times you've split it, I find that the fibre really benefits from a lengthwise stretch, either by 'snapping' or a gentle tug. The idea is to separate the fibres which may have become a little clingy with their neighbours. The trick is to pull less than you think you need to, and move your hands along a little bit each time. Spinning from the fold. You'll want to split vertically only once or not at all, and then after step 3 pull off a staple length or so to fold over your finger. Longdraw from rolags. 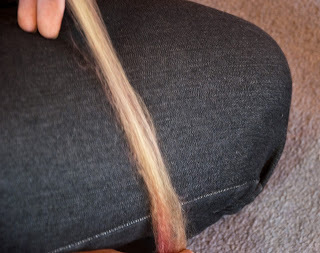 David of Southern Cross Fibre has made this great post which shows how to make rolags from a dyed braid. Fractal spinning. The more times you split lengthways, the quicker your colours will repeat in your singles. 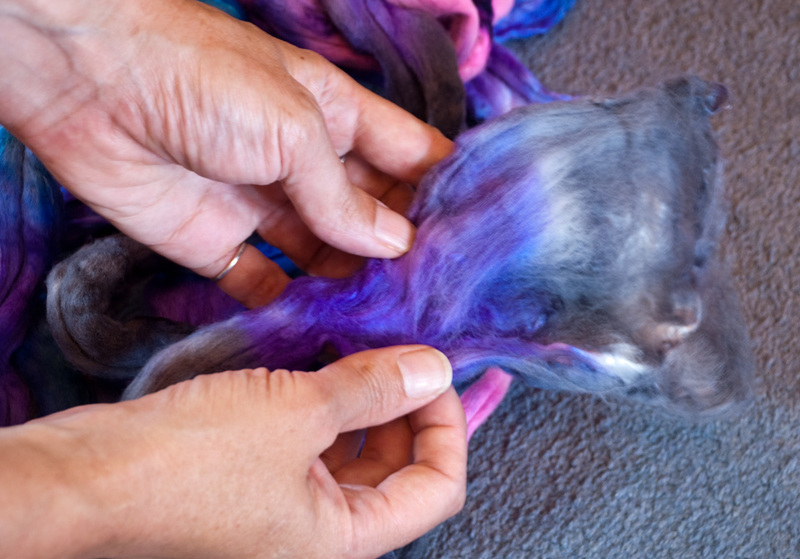 Fractal spinning means splitting your yarn differently for each bobbin of singles to achieve certain stripe effects or to balance your colours better in your finished 2-ply. 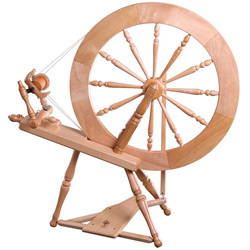 There are different ways to do this for different effects, but for starters, split your yarn lengthways once, spin one bobbin from one half. Split the second half again before spinning the second bobbin. This way the colours will change twice as quickly on the second bobbin. Do you prepare your fibre differently? Do you have anything to add to this? Let us know in the comments.